A very unique and talented man wanted to leave something very beautiful and special for his wife to remember him by. I feel quite honored that he chose me to translate his vision. He had actually mined the gold himself that I cast it in. 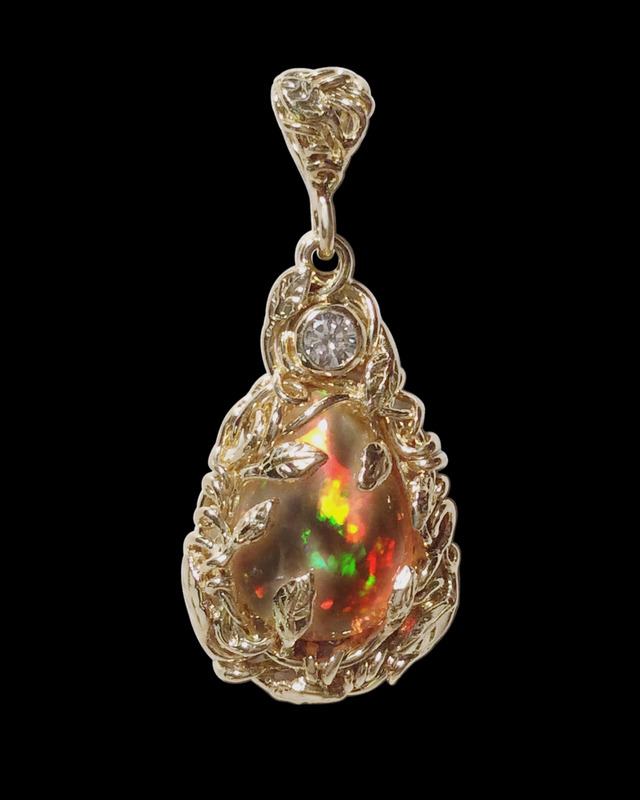 He wanted vines and leaves to envelope this magnificent opal. We conversed often about this pendant and many of his amazing adventures. I would make a wax and send him pictures until it was just what he wanted. Someone described it as a hidden treasure someone might find in the woods. When his wife saw it she cried and we knew our mission had been accomplished.